The world is full of funny, exciting and strange sounds. Liza and Ben, the elf twins help us identify the sources of different sounds we hear day by day. Let it be a bell on a bike, the beep sound of an incoming message or the funny creaks when we are washing the windows, the twins will find out where the sound is coming from. 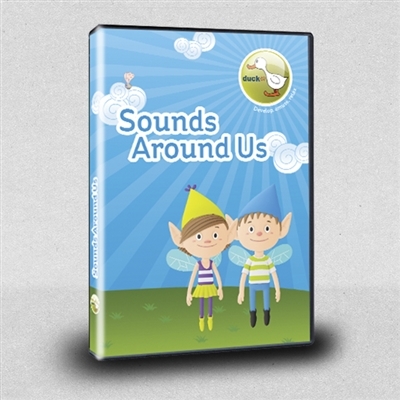 Enjoy 9 episodes of Sounds Around Us on our DVD.